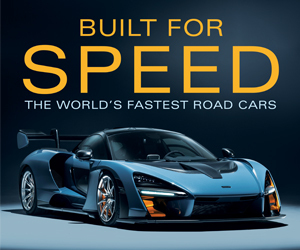 Note: The following story was excerpted from the April 2016 issue of Collectible Automobile magazine. In the late Nineties, Volkswagen tickled the automotive world’s fancy when it brought out the New Beetle that called to mind the iconic shape of the round little car that put VW on the map. However, there was a time many years earlier when people thought that a different “new” Beetle was coming. That was in 1961, when Volkswagen introduced the 1500. Like its world-renowned forebear, it had an air-cooled rear-mounted four-cylinder engine, four-speed transmission, “backbone” chassis, and 94.5-inch wheelbase. Where it was supposed to be “new” was with more passenger room and more power. 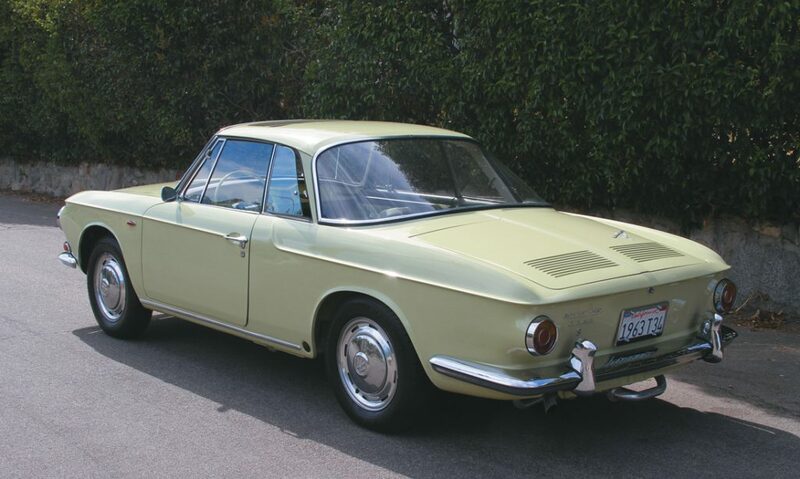 There was one more thing that the 1500 had in common with the original Bug: a deluxe coupe known as the Karmann-Ghia that shared the engineering of the workaday sedans but was dressed more stylishly. 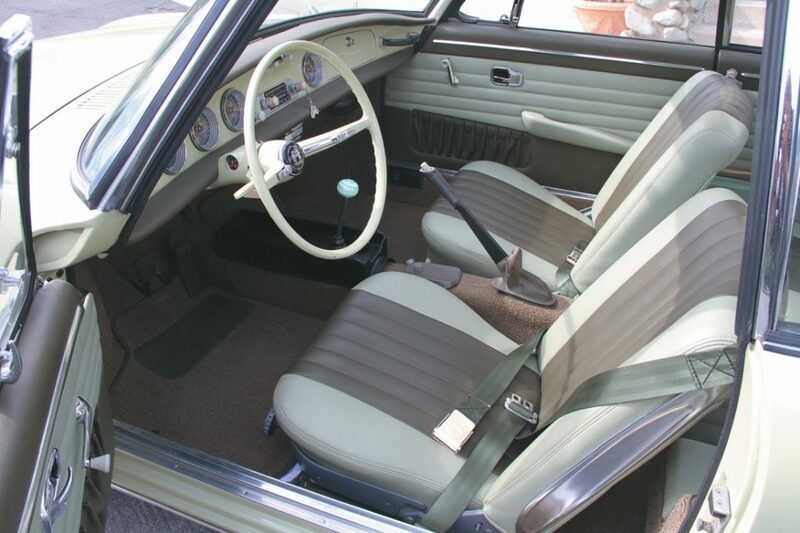 However, just as the 1500 never fully took over as a replacement for the Type 1 Beetle, neither did its take on the Karmann-Ghia become as popular as its original namesake. This was particularly true in the U.S., where the 1500 K-G was never officially imported. 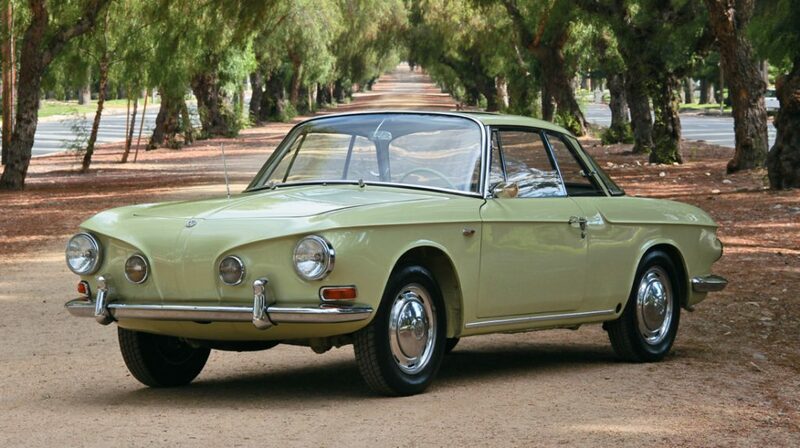 All this history is what makes Kiki Hahs’s Beryl Green 1963 Karmann-Ghia such a distinctive sight. Like any of them that has come to the States, hers had to arrive somewhat by chance. The car’s original owner was a U.S. Air Force pilot who bought it when stationed in Nuremberg, Germany, and brought it with him when he returned to the States in 1973. 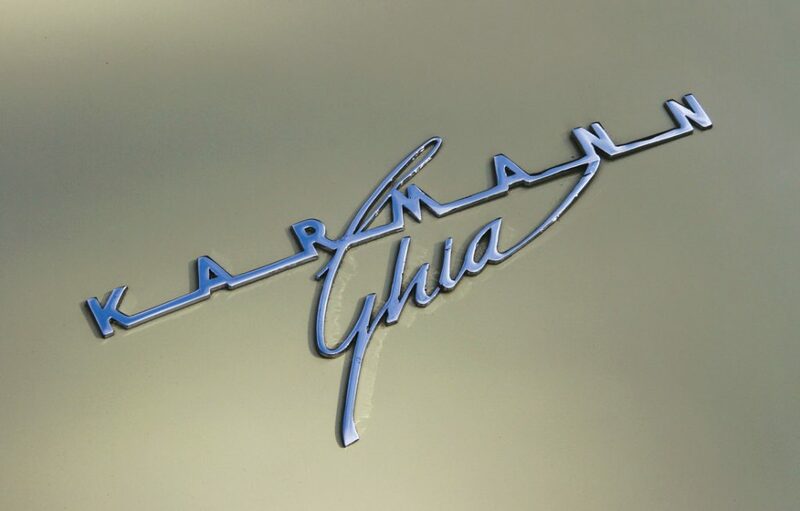 The design of the Type 34 Karmann-Ghia, as the car was designated, is attributed to Sergio Sartorelli of Ghia in Turin. He opted for a light, airy roofline with better rear headroom than the older Type 14 K-G. The design’s most distinctive—perhaps most polarizing—feature was an aggressive “scowling” look up front. 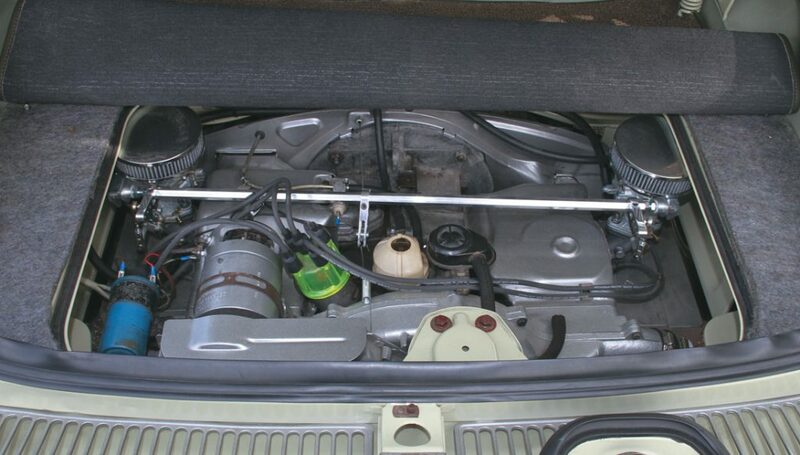 The 1500 series—which has alternately come to be known as the Type 3—had a more compact flat-four engine than the Beetle. As launched, the 1.5-liter powerplant generated 54 SAE-rated hp. During 1963 came a twin-carburetted “S” version good for 66 hp and top-speed potential of about 85 mph. It’s this engine that is in the car that Kiki Hahs’s husband, Greg, purchased in 2005 with the intent of making it a wedding present. So much for good intentions. The K-G’s restoration wasn’t complete until 2008—two years after the couple’s marriage. The well-worn car, which had been idle for years, got a top-to-bottom refurbishing from Greg Hahs, who is a mechanical engineer. By the way, Greg and Kiki Hahs are no strangers to out-of-the-ordinary cars. The Upland, California, couple also has an Australian-built 1959 Goggomobil Dart roadster that was featured in CA’s February 2015 issue. Written by: John Biel on June 5, 2018.on October 23, 2018.